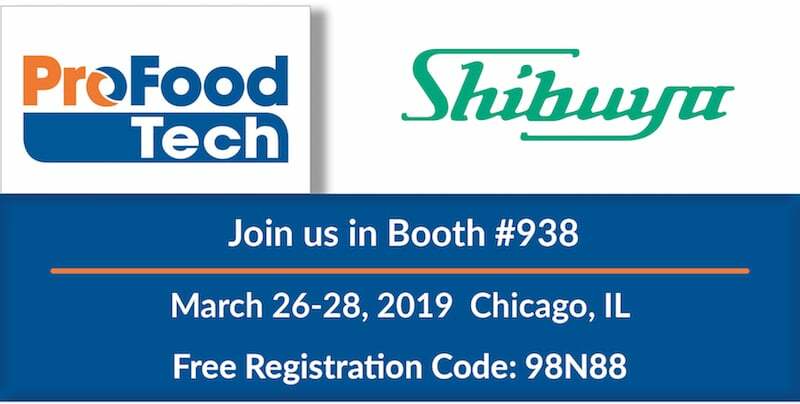 Shibuya Hoppmann will be exhibiting at ProFood Tech 2019 in Booth #938 at McCormick Place in Chicago, Illinois, March 26-28, 2019. Attending ProFood Tech will give you access to 450 top suppliers whose solutions span across 10 vertical food and beverage markets. You will explore solutions for your industry and technologies from other sectors. ProFood Tech will equip you for success in this highly competitive environment. ProFood Tech is a comprehensive event and you get to see machinery and solutions for the entire food and beverage industries live and in action. There will be 450 top manufacturers, educational sessions and multiple networking opportunities all under one roof. Discover new solutions that will help you solve your greatest challenges in the food and beverage markets. Identify best practices in the food and beverage processing sector. Discover solutions in person and obtain information needed to recommend a purchase for your company.